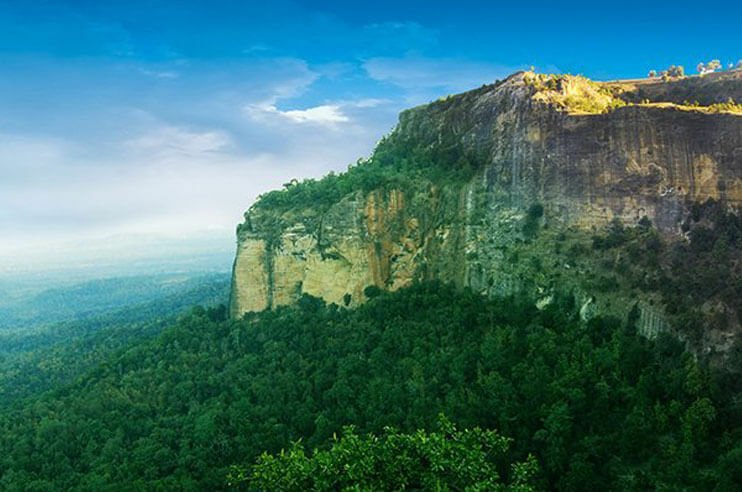 If given a chance to stay as close to nature as possible, travellers would without a second thought take it. That’s exactly why V Village Machaan Resorts are so famous in Pench. 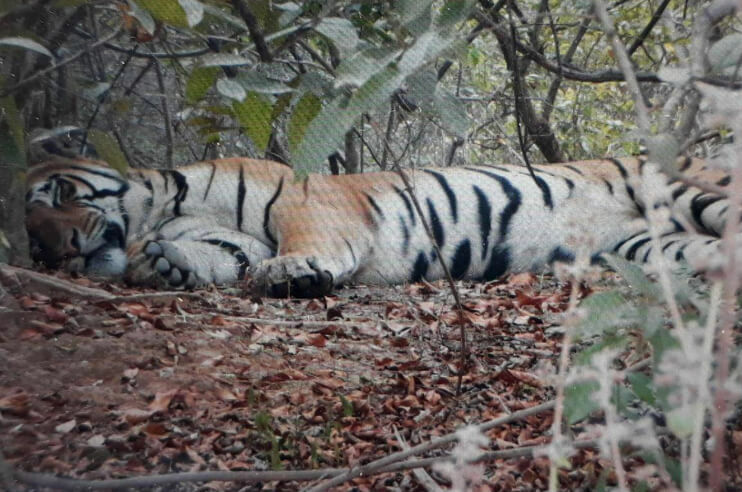 Set up in the buffer area of Pench Tiger Reserve, the Village Resort takes pleasure in being called the most perfect place for every wildlife lover to sit back and relax. What makes this resort stand out from the other accommodations in Pench is its eco-friendly thought towards the conservation of the wild. Moreover, the resort offers a good variety of options to travellers based on their interest which is coupled with a good number of facilities. 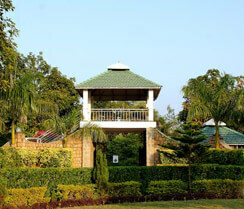 Which all in all makes Village Resort just the right place for a stay close to the wild roars of Pench. 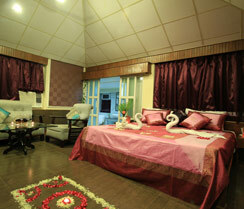 The Village Machaan offers three different types of cottages that can be picked as per the traveller’s preference. 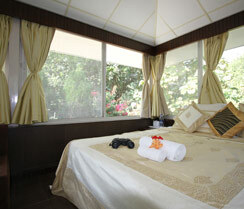 All the cottages are attached with an amazing amount of facilities and a view that no one should miss out on. 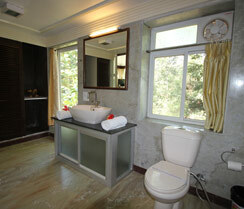 The Glass cottages are one of the most loved accommodations in Village Resort and in the national park. The cottage has a personal lawn and offers a 360-degree view and is the favourite haunt for wildlife lovers. Moreover, some of the facilities that come along with these cottages are a private gallery and sitting area, room service, internet facility, room heaters, doctor on call, LCD with multilingual channels to name a few. Keeping the specially abled and senior citizens in mind, the Village Machaan has a separate cottage for them. 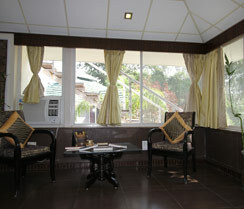 These cottages are designed in such a way that it makes this journey to Pench easy and comfortable for them. 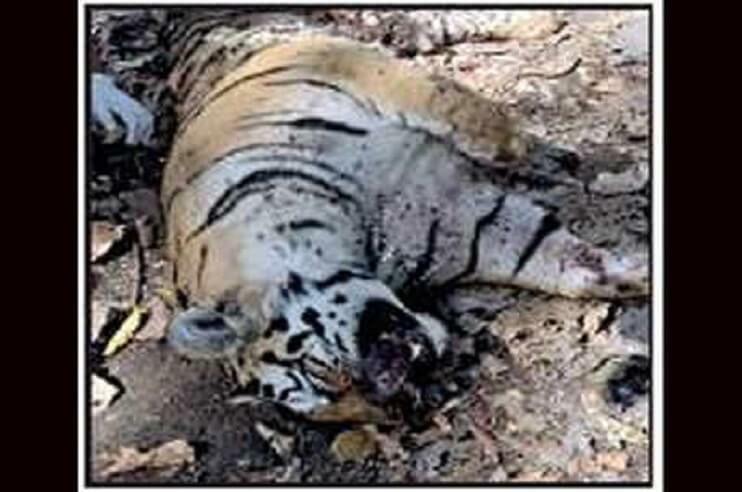 However, it is advised to get a proper check-up done before planning a trip to Pench and also make sure to carry your medicines and prescription. Special arrangements like open jeep safari with a helper are made beforehand. Wheelchairs can be made available on request. Honeymoon marks the beginning of every loving journey and the Village Resort makes it a point to make your vacation even more memorable. From giving you an undisturbed environment, you and your partner wish for, a right setting amidst the soothing nature to taking care of the interior decor, matching linen and traditional style roofs, there is not a single thing that the cottage misses out on. And that’s not all as when the night switches place with the day, the deck takes the romantic vibe where you can enjoy dinner sitting under the stars. 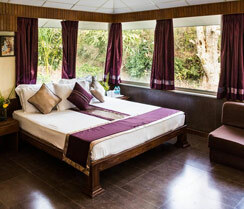 Moreover, facilities like personal pool, butler service, cake, massage session, home theatre system with DVD player and an exclusive picnic to the forest are also there for the couple. Along with the comfortable cottages that the resort is brimmed with, there is a number of indoor and outdoor activities that one can enjoy when in Village Resort. Mini theatre, library, meditation, games for kids, bungee trampoline, night safari, nature walk, pottery workshop are some of them. We were here with family and enjoyed so much as there are a number of activities both indoor and outdoor. We particularly enjoyed cycling and nature walks. 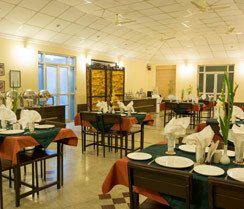 The rooms are really comfortable and the food is delicious too. We’d certainly like to return. 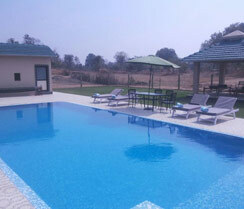 We organized a corporate tour to Pench, and Village Resort was a perfect choice for staying. There is a spacious conference hall with all the necessary features. The staff is professional and helped us diligently throughout our stay. Keep it up.